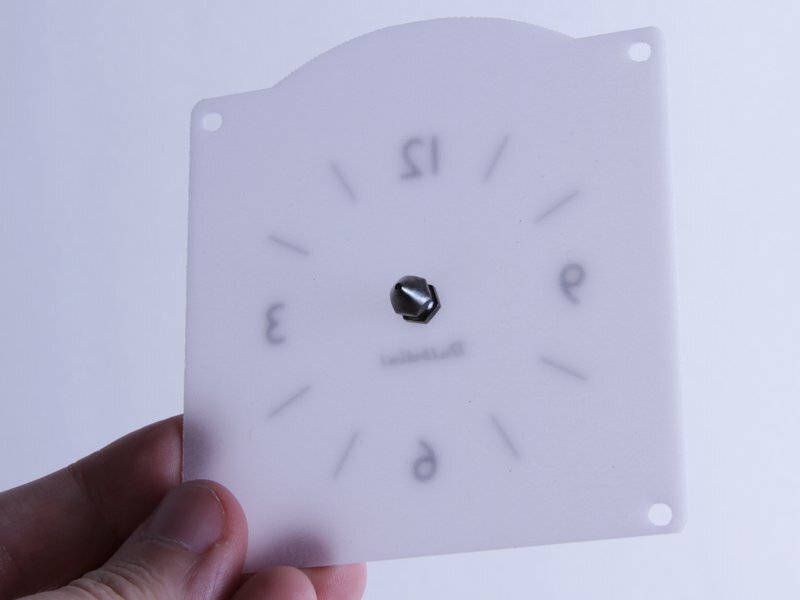 The Bulbdial Clock Kit is designed to be used with either an opaque clock face in the back, included with the kit, or with this translucent clock face for rear projection. By contrast, this optional Rear Projection Clock Face is made of translucent and textured light-diffusing acrylic plastic. 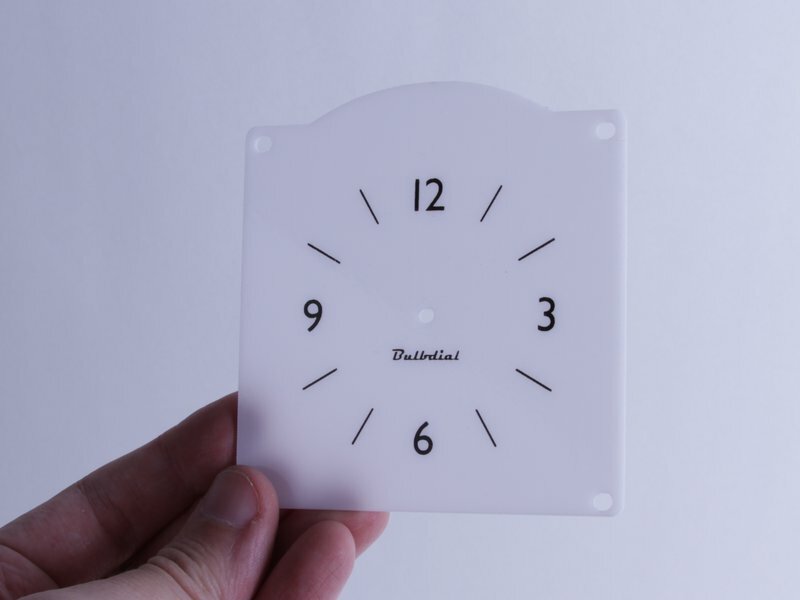 One side of the clock face is smooth, with printed number forming a clock face on one side. Unlike with the regular clock face, the gnomon (spike) should be installed on the "back" side of the clock face, protruding from the side without printed numbers. 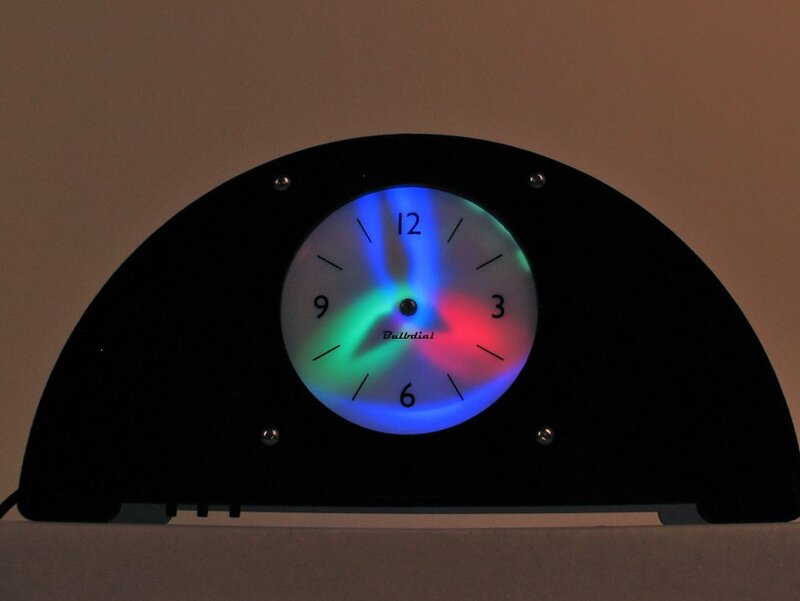 The clock face is installed with the gnomon pointing towards the inside of the clock (towards the LEDs), and the numbers on the outside of the clock. When viewing the clock, you look at the side with the clock that has the printed clock face, and see the shadow hands-- in rear projection --cast by the LEDs and gnomon upon that surface. 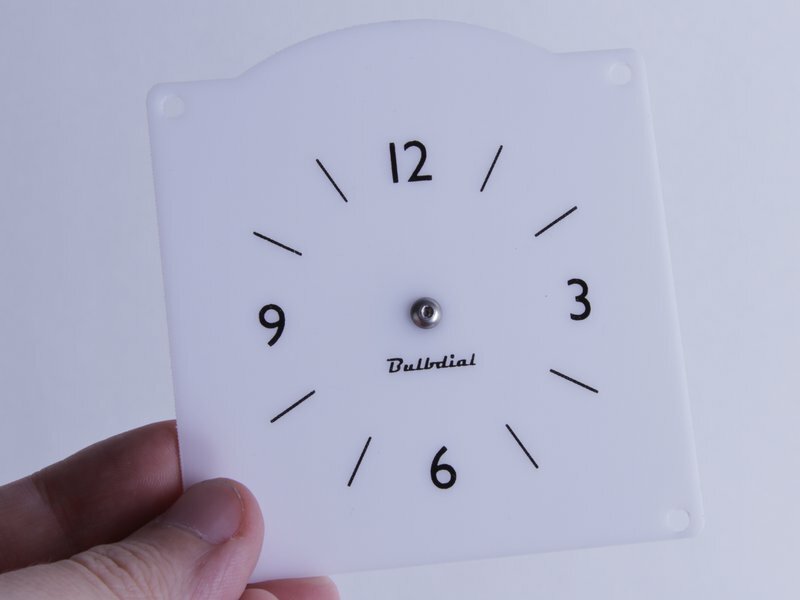 The standard firmware included with Bulbdial Clock kits includes an optional setting for reversing the clock direction for use with this faceplate, so this can be installed as an upgrade to any existing Bulbdial Clock kit without requiring any other changes.